On Thursday January 03, 2019 at approximately 6:00am unknown suspects cut a gate lock to a fenced storage yard on Jane Road near Thamesville ON. Once inside the suspects used a truck to steal a white 18’ 2010 Coyote KZ hybrid camper bearing ON plate E9504S. The camper is valued at more than $10,000 and was last seen turning east onto Fairfield Line from Jane Road shortly after 6:00am. 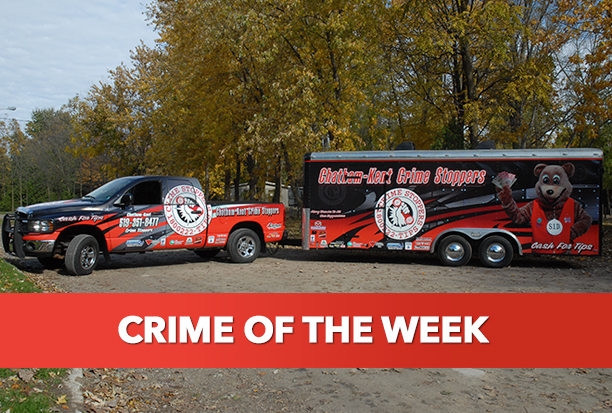 Crime Stoppers is seeking your anonymous information that could locate the trailer or the persons responsible. If you saw anything suspicious in the area on that date call 519-351-8477.